We danced. We laughed. We drank. A lot. We ate. We played pool. We met new people, who were also drinking a lot. We talked about the future. We laughed at the older couple, who had found their way into our shenanigans, when they informed us they needed to leave to get home to their kids. We still had all night ahead of us. I promised my boyfriend (now husband) that would never be us if we ever had kids. When the bar closed at 2 a.m., we were the last out the door. We would continue the party at our apartment for several more hours. Friends would sleep on our sofas. We would have a great time in our bedroom (boomshakalaka). We would wake up the next morning afternoon and know what a great night's sleep felt like. We ate dinner at 4:30 p.m. because that's when the kids were hungry. We ate at a trendy restaurant, but laughed when the waiter brought the kids water in glasses. We requested plastic cups for the table. We haven't seen our friends in a while because they all have kids too. Unless we're all meeting at a playground (where we last saw each other), nights out with everyone are nearly impossible to schedule around sports, work, school events, and prior commitments. My feet hurt from the dance party we had with the kids right before they went to bed two hours ago. Also, I'm extra tired because I indulged in a glass of wine at dinner. 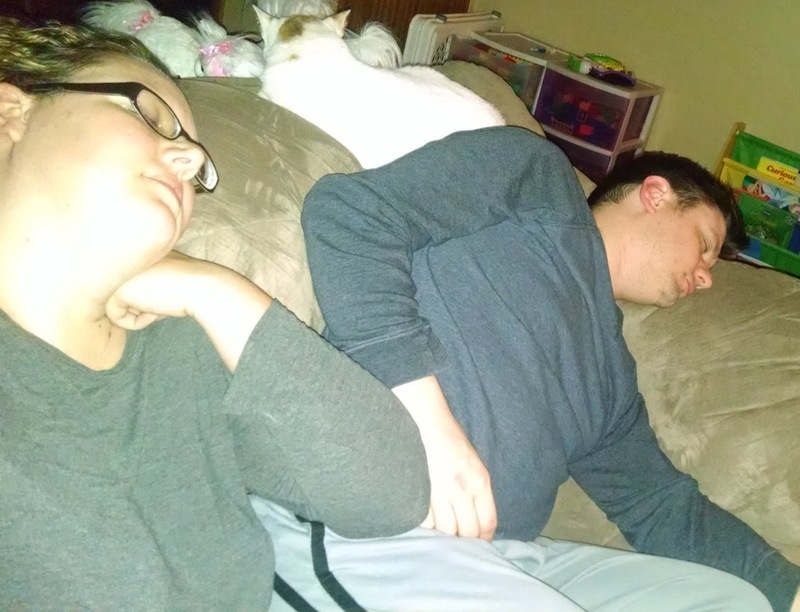 We watched Netflix and fell asleep on the couch before making our way into bed. We're both exhausted from a busy day with the kids and fear falling asleep in the middle "of it" so we actually go to sleep. The next morning we're woken up before the sunrises. Our favorite phrase is now "we'll be able to sleep when we're dead...hopefully."